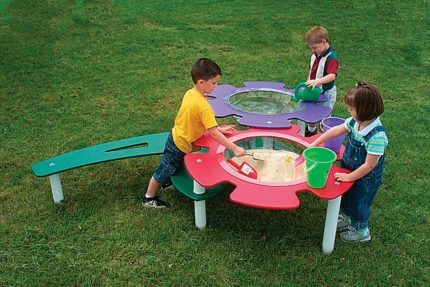 The Sand & Water independent play equipment is great for young children seeking interactive tactile fun! Sand & Water play promotes sensory development and offers child initiated activities. 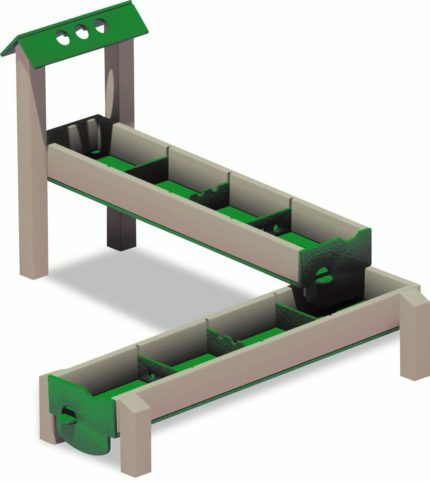 These ADA Accessible units include durable UV stabilized polyethylene tables, waterways, and sandboxes. Cascading water invites pouring, mixing, floating and draining small toys from the environment. Sand promotes digging, building, burying and sculpting. Encourage your children to go and explore the textural elements of the outdoors by filling brightly colored basins with sand. At Adventure Playground Systems, we believe in encouraging a child’s sensory development through a variety of interactive independent play additions. All of our standalone Sand and Water play options are perfect outlets for kids to build, splash and just have fun! Choose from numerous sand and water tables, waterways and sandboxes in our extensive inventory. Contact us today by calling 1.888.935.2112 or filling out our online form to start creating the perfect play area for your school, worship center, park or business. 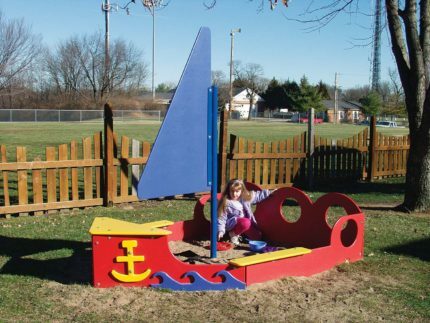 Let one of our Adventure Play Experts help you choose an affordable, interactive sand and water play addition to meet your organization’s needs.